I have been reading and enjoying Jenny Colgan's books for years, The Bookshop on the Corner and Summer at the Little Beach Street Bakery in 2016 and Christmas at Little Beach Street Bakery in 2017 are just a few. In fact, I used to order her books directly from England before they were available here in the States because they were guaranteed to make me smile. Her novels are just the right amount of appealing, engaging, and heartwarming even as she addresses current social issues that might seem at odds with the otherwise comfortable and cozy feel. 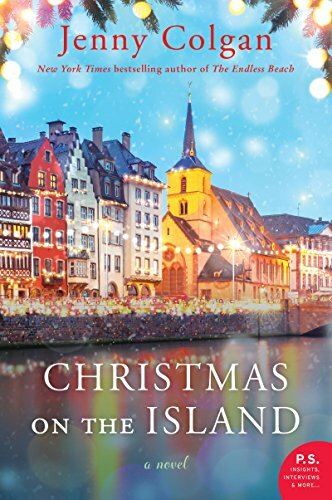 Christmas on the Island, her latest novel, is quintessential Colgan. The small, remote, northern Scottish island of Mure is getting cold as Christmas is getting nearer. Flora was born and raised on Mure and returned to the island after a year away. She owns the Seaside Kitchen, a bakery on the main street of the town and is an integral part of the fabric of Mure. It just so happens that she is unexpectedly pregnant and is struggling with how to break the news to her boyfriend Joel, knowing that, because of his past history, this will be a really big deal but not knowing exactly how he'll react. She is not the only one on the island facing big life changes either. Saif is a doctor working on Mure. He is a Syrian refugee and has recently been reunited with his young sons but doesn't know the fate of his much loved wife, not even if she's still alive. He and the boys are having to adjust to a very different climate, culture, and life amidst people who can't have any idea of the horrors they saw or of the threats to their way of life, their religion, and their past that they still feel, even on this welcoming island. It doesn't help that Saif is fighting growing feelings for Lorna, the boys' teacher in the tiny lower school. As Saif and his boys try to establish a new life, another life is coming to a close. Colton Roger is a reclusive billionaire from Silicon Valley who arrived on Mure with grand development plans but fell in love with the island as it was and with his eventual husband, Fintan, Flora's brother. Now he's dying of cancer and his long estranged brother turns up to claim the family's share of the pie. Colgan tackles some pretty tough issues in this novel but the only time anything is remotely preachy is when American politics are dragged into the plot via Colton's offensive and overly stereotypical, negative brother. All of the other issues are dealt with deftly, allowing the story not to be overwhelmed with the message. Mure might be wretchedly cold in the winter, but the tightly knit community is otherwise warm and wonderful. The novel is certainly not simply a happily ever after, especially given Colton's clear diagnosis, among other things, and this imparts a feeling of necessary bittersweetness to the tale. The setting is well drawn and that it makes the reader want to visit even during the cold, dark winter is impressive indeed. This is the third in a series and while a knowledge of the previous two novels might help give a little more depth to the characters, reading them isn't necessary to enjoy this one. (In fact, I own but haven't read the previous two yet either.) Readers who are looking for a heartwarming read about the importance of love, friendship, and acceptance, set during the season that is all about these things will find this novel fits the bill. 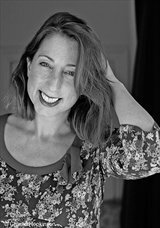 For more information about Jenny Colgan and the book, check out her webpage, like her author page on Facebook, or follow her on Twitter. Check out the book's Goodreads page, follow the rest of the blog tour, or look at the reviews for others' thoughts and opinions on the book. Thanks to Trish from TLC Book Tours and William Morrow for sending me a copy of the book for review. I'm glad you're able to get her books in the US now - ordering from England can be expensive!